Strange rock formations and cliffs, such as Byeongpung(folding screen) rock, Geobuk(Turtle) rock, Janggun(Admiral) rock, and trees make up a magnificent view. 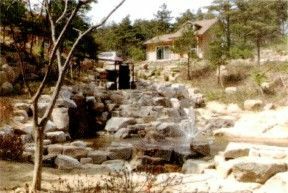 It's located at the foot of Yongbong mountain which is called the second Geumgang mountain, so it has beautiful scenery. There is a shrine, 'Manhaesa' keeping a memorial tablet and portrait of Han Yong-un, Buddhist reformer and poet. 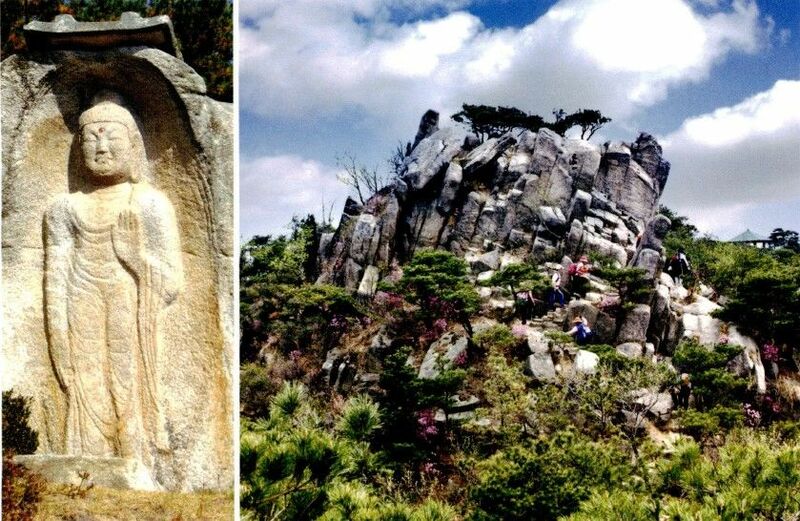 Han Yong-un entered into Baekdam temple to become a Buddhist monk when he was 26 years old. He signed the Declaration of Independence as one of the patriot signatories and served a three-year sentence in prison. He took the lead in resistance literature with his work 'Nimui Chimmuk'(The Silence of My Love), published in 1926. He was called for the popularization of Buddhism and the advocacy of independent thought. Baekya (His pen name) Kim Jwa-jin, the independence activist during the Japanese colonial era, was born and grew up here. Since 1991, his birthplace, gate section, and guesthouse have been restored and the museum have been built as the sanctuary business. 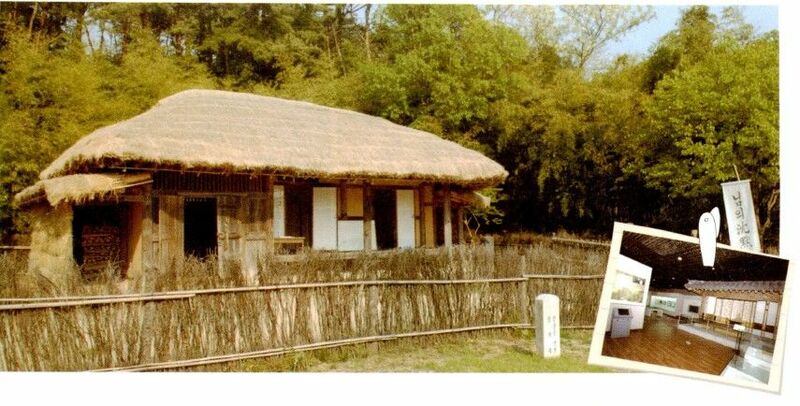 Hongju-mok was set up at Hongju fortress about thousand years ago. Hongju fortress took charge of a vast area from Pyeongtaek of north to Seojeon of south. The road shows what Hongju Fortress was all about. You would take the course that embraces the past and the modern, looking around from Hongjuseong Fortress, Joyangmun(East gate), Hongseong Traditional Market. Walking course is started and ends at the Hongseong station throughout Ogeori(Five-way intersection)of General Kim Jwa-jin, Lotto Hot Spot, Hongseong Traditional Market, Hongju Uisachong, Catholic Martyrs' Site, Hongjuseong Fortress, Hongju History Museum, Gunjeong(Anhuidang Hall, Yeohajeong, Hongjuamun, etc) – Old downtwon, Joyangmun, Myeongdong Shopping Street, Danganjiju(Two standing stone pillars). It's an 8km long, 2 hour course. You could see flowers throughout the year. Particularly in May, the flowering times, many tourists visit to enjoy the spring. There is a gallery exhibiting works of local artists, as well as trees. There is also a furniture gallery that includes the traditional japanned furniture as unusual theme. 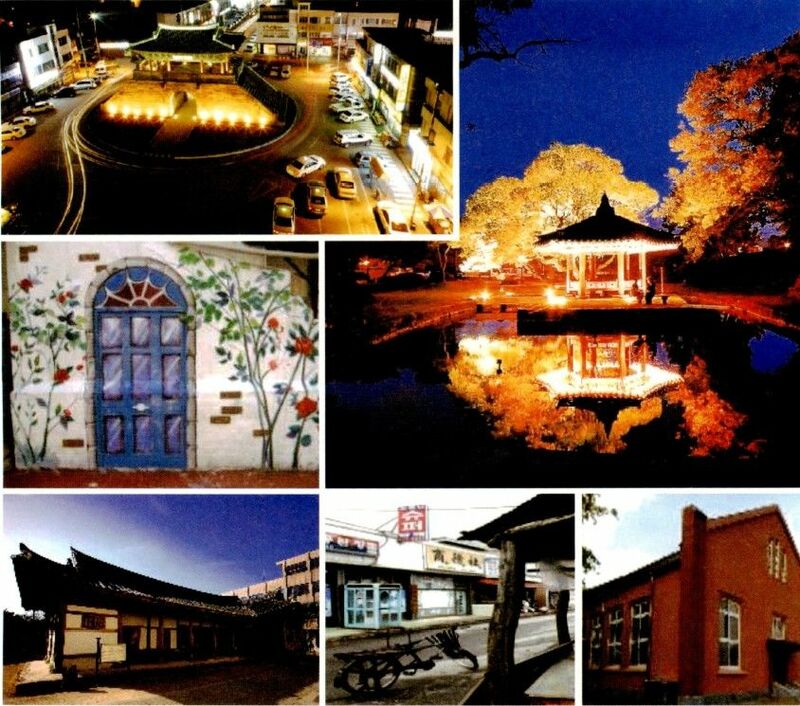 The Naepo Cultural Festival takes place throughout Hongseong under the themes of "loyalty" and "people's culture". 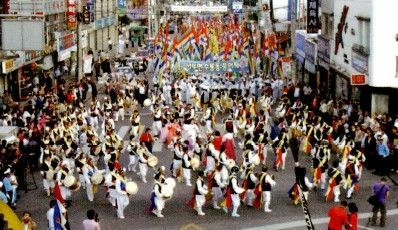 There are folk festivals with demonstrations of Madang, Nongak(Korean Traditional music performed by farmers), Ssireum(Korean wrestling), Namsadang, Gyeolseong Nongyo. Besides,, demonstration of military band at the Youth dance contest and Youth rock festival are held. 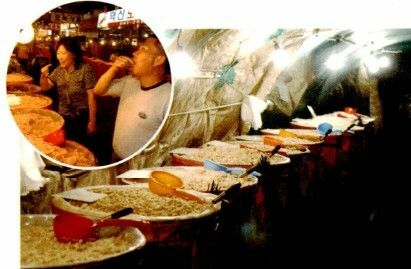 Gwangcheon salted shrimp and traditional laver festival is held before the Gimchi-making season in October , with its specialty, excavated salted shrimp and Joseon laver. During the festival, marine products are sold at discounted prices and variety of cultural events are held.